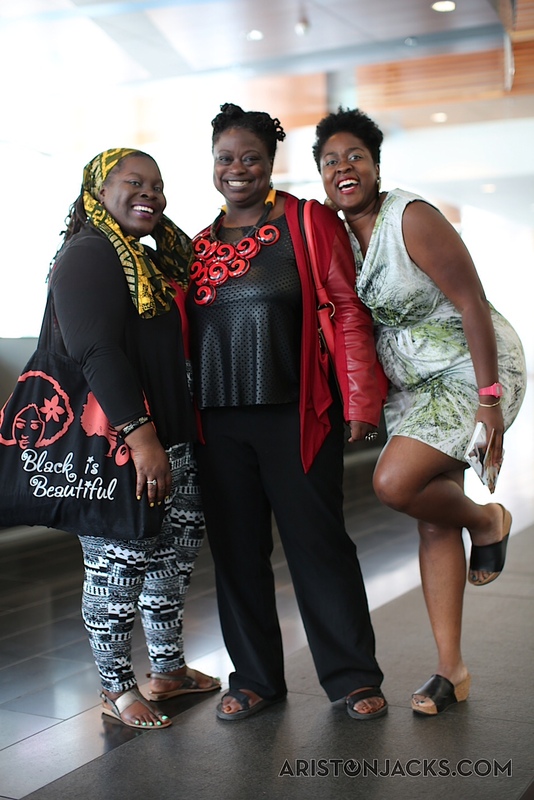 I must admit, I was shocked to find that there would be a quartet of public performances led by black women at the Encuentro, NYU’s semi-annual convening of thinkers and practitioners in the world of performance art and scholarship. Unlike some “hemi-sexuals,” I didn’t comb the comprehensive program book to learn the ins and outs of the week. I arrived in Montreal, exhausted. After finishing a trifecta of training sessions, meetings, and rehearsals, I boarded Amtrak bound for Montreal most excited about sleeping all the way there. The Encuentro brings together some of the most boundary-pushing and thought-provoking performance artists working in the Americas today. Blending and bending sexuality, boundaries, languages, genre, and aesthetics, this year’s convening — dubbed Manifest: Choreographing Social Movements in the Americas — was a marathon. The days were filled with workshops, working groups, lectures, performances, and installations that extended into the twilight hours. While it is typically possible for one to satiate her creative thirsts in many ways at a convening such as Manifest, I am often left wanting to see more black women on stage, in public space, sharing our approach to art-making, pedagogy, methodology, and life practice. It’s a personal proclivity to want to experience as much black women’s performance as I can this lifetime. This desire to witness our work has led me to some far-flung locations including random bathrooms, strip clubs, living rooms, street corners, theaters, community gardens, and schools in some of the most exciting and troubling cities in the world. This exploration led me on a rainy trek through Old Montreal’s cobblestone streets, historical markers, and abandoned public spaces. Each work was unique yet connected by shared origins, conflicts, desires. Paloma McGregor, Gabrielle Civil, Rosamond S. King, and Wura Ogunji’s performances are also linked by their collective exploration of what Melissa Harris-Perry describes in Sister Citizen as the “crooked room,” a world created through series of intersecting oppressions in which one attempts to find balance and justice in a world where that pursuit seems almost impossible. Sister Citizen outlines the interior lives of black women as a site of redefined and re-imagined citizenship for a group of people who have been traditionally marginalized from mainstream political activity. She describes the phenomena of “the crooked room” as the actions to which an individual or group of people go through to find “true north” in situations where items in a room are tilted slightly or extremely. Harris-Perry writes that during studies, psychologists experienced subjects contorting their bodies in astounding ways under the assumption that they were actually pointing north. Ultimately, Harris-Perry asks us to consider what it takes for African American women to adjust to living in a “crooked room,” that room being the United States, when the contents of the political, educational, social, economic rooms that comprise this country have been tilted against us. Is it possible for African American women to find their true north in our relationships, work environments, civic spaces and beyond? In some ways, each of these performances speak to the dilemma of the “crooked room” and addresses how one might break free from its confinement. Forecast. Rain. I secretly hoped that the performances would move inside, but that did not happen. Later I would learn that each of these performances had to be performed in public space. I borrowed an umbrella and followed the crowd of devoted audience members to the first site to experience Sweep by Wura Ogunji. In this iteration of Sweep, five performers move, scoop, dump, and sift earth, their eyes fixated on the symbolic ground shifting below them. The piece conjured thoughts about the mythologies of permanence. I am sometimes in awe of my own naivete, of what I think will remain or stay the same. Friendships, alliances, lovers, health, all have to be cared for and tended to, but the expectation that our families or interests are impenetrable forces of nature is just ridiculous. All things must change. Wura’s work also pushed me to consider the residue that marks or signifies migration, translation, and journey. What does it mean to either choose or be forced to move between worlds of identity, accountability, or space and time with nothing but the dust on your back to remind you of home, the earth literally moving under your feet? Sweep is meditation on body and land, pushing the witness to grapple with the connections and ruptures that exist in a reality of physical and psychic chosen and forced migrations. Wura I want to know… you make me want to know more about what has marked us, what stains us, what is the residue that can’t be washed away? The work reminds us that soil can be swept away but the soul cannot and quite possibly, what impacts the soul remains. Learn more about Wura’s work at http://wuraogunji.com. Rosamond S. King offered the next piece, Sable International. Dressed in a white nurses uniform, red head scarf, and red bags criss-crossing her torso I immediately thought of Shango, the Yoruba Orisha of fire, thunder, and lightning, who is often seen adorned in red and white. King began throwing dirt, marking the ground beneath us. She then led us on a moving performance through the streets of Old Montreal rhythmically performing a series of warrior-like gestures as she threw fist-fulls of dirt to the ground and buildings. At one of King’s chosen sites she takes aim at a fountain, a large-scale water fixture, before approaching and throwing dirt at the object. It wasn’t clear to me why Rosamond chose to perform this warrior-dance in Old Montreal until we got to the World Trade office, one of the sites on the performance route. Performing the same gestures, King ceremoniously threw dirt at the sign marking the location and left a muddy imprint on its golden visage. King says the work is a response to the history of violence and colonialism in Montreal and globally. What I found most striking about the work is the relationship between the two personas King embodied. The nurse who heals and the warrior who kills. Nurses are often seen as healers, as the ones who help make us whole again, King’s work shows the connection between blood-spill and wholeness. In this way, King’s persona is one who brings healing through truth-telling, blood-letting, and unearthing as she traverses time and space. With this in mind, the dirt used in the work reminds me of blood. With each step, each site, the space is marked by the dirt/blood of those who have been victims of the state-sanctioned violence. Even now, I can’t shake the image of Rosamond marching us through the streets, chopping through the wilderness of cultural amnesia and apathy, clearing a path for us to re/member and connect across time, space, and shared realities. I would later learn that King performed a dance of the Nago, which originates with the Haitian Vodoun tradition. The Nago is performed for the Ogou family, the warriors. The movements suggest those gestures related to dances performed for Oya, Ogun, and Shango in the Yoruba tradition. The dance is marked by the “spraying” of rum, aggressive and sharp chopping motions, marching, stomping, and quick shifts in direction. In this regard, the dance is a representation of a battle cry or of the strength and fortitude needed to guide a crew of willing audience members or unwilling captives to freedom. To learn more about Rosamond’s work, visit http://rosamondking.com. Rosamond led us to an abandoned courtyard where audiences met Gabrielle Civil and her work, Fugue, Da Montreal. Here audience members dive deeper into the violence of diaspora. Bodies interrupted. Languages mangled. The violence of diaspora sends some people searching for home in a wasteland. Here the intimacy of such a violent disruption is explored between a granddaughter and her grandmother. Gabrielle Civil utters something about wanting to talk to her grandmother without knowing her language. This very visceral experience, made even more real for me by watching a small Haitian doll dangle from a wooden post as Civil attempts to connect to her grandmother through a large conch shell attached to an extension cord. Gabrielle’s work brings up so many questions for me. Again, I consider the role of blood in the practice of diaspora. I consider the challenge of “going back” and trying to retrieve a story, a relationship, a connection that is often severed by time, space, or violence. At one point, Gabrielle poured water out of a conch shell. I wanted to hear that shell sing, wail, scream, or tell us a story. I wanted that shell to connect Gabrielle to her grandmother. I wanted that shell to be our portal through which we could travel home. Civil says this work is a vital attempt to harness diaspora bloodlines to connect to her grandmother. The search for connection is real. Gabrielle’s implements: an extension cord, a television, a mountain of dirt, a shell, a song, a prayer, a poem are the tools used to conjure this connection to home, to family, to belonging, and earth. These ingredients however do not conjure her grandmother, but instead glimpses of memories that may remain as the search for home and connection continues. For more information about Gabrielle’s work, visit www.gabriellecivil.com. As the rain dissipated, the final performance of the set began. Paloma McGregor performed an excerpt of Building A Better Fishtrap, an iterative performance work that explores the connection between land, water, and memory. Paloma began by navigating the perimeter of the same abandoned courtyard that Gabrielle performed inside of with a suitcase that had become a staple symbol of this project. With each step, the courtyard became a fishtrap, I thought she would never enter the courtyard. At some point, the suitcase became the foundation she stood upon, the keeper of dreams, secrets and maybe even maps to lead back home. The journey became a meditation, a walk back through time to locate her beginnings. After walking the perimeter, something shifted in the music and the movement. Paloma stood on a large concrete block and began to pour salt. Maybe to taste the saltiness of the Caribbean Sea. Maybe to remind her of the seasonings used to prepare food on her island. Nevertheless, the salt continues to pour, accompanying Paloma’s entry into the fish trap during which a soundscape begins to play. As the sound continued, Paloma performed movement associated with carnival dance traditions on St. Croix and other Caribbean islands. Again, time slips as McGregor begins to slide in the mud. Just as I thought maybe she found what she was looking for in the music, in the lightness of the “tramp,” it is all lost again. Time slips into the future or the past and Paloma is left to continue her search for home through snatches of memory that lead her to the other side of the trap. I’ve been asking myself a question every time I engage Paloma’s project. Is it better to be inside the trap or outside of it? I’m just not sure. Sometimes I feel like being in the trap is like being home, comfortable with what is and what might be. Other times I feel like I would want no part of being inside the trap. But the unknown can be equally if not more terrifying than what we know. For more information about Paloma’s work, visit www.angelaspulse.org.